The candidates who will appear for the entrance exam will be able to check their NCHMCT JEE 2019 Result through online mode. The result for NCHMCT JEE 2019 will be announced at the official website, nta.ac.in. To check the result, the candidates need to log in by entering details such as Application Number, Password, etc. The candidates will be granted admission will be done on the basis of marks obtained in All India (Written Test) JEE 2019 exam. The Allotment of Institute wil be done on the basis of merit and rank obtained in the test. No group discussions or personal interviews shall be involved in this admission process. 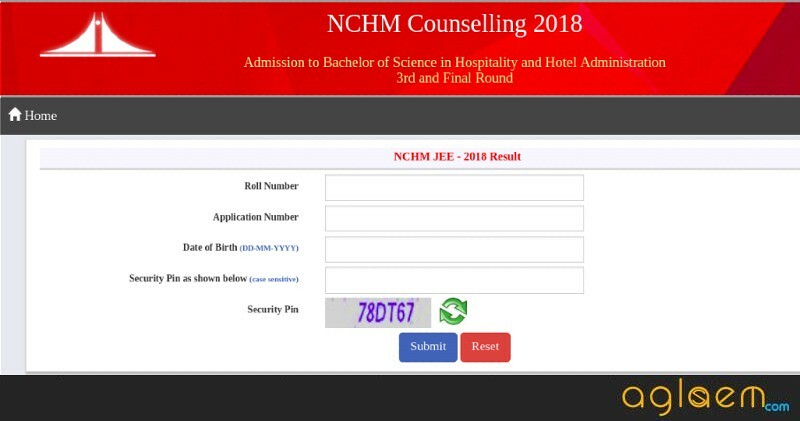 The qualifiers of the NCHMCT JEE 2019 will then be eligible to appear for the Counselling. To appear for the counseling, you first need to register for it first and pay the requisite amount of the counseling fee. 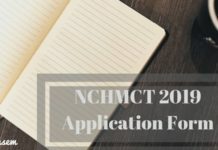 The candidates can check complete information on NCHMCT JEE 2019 Result from this page. Result for NCHMCT 2019 will be announced after the examination. It will lead to the counseling process where the candidates will be allotted seats in the university as per availability of the institute. The dates regarding the declaration of result or the counseling process have not yet been announced by the council. Any official announcement will be updated there for candidates to check. 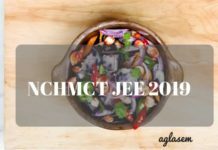 How To Check NCHMCT JEE 2019 Result? The result for NCHMCT 2019 will be uploaded on the official website after the examination is over. The result can be downloaded by the candidates by following the steps given below. Click on the direct link which will be provided on this page as soon as the result for NCHMCT JEE 2019 is announced. Next, you need to log in by entering details such as Roll Number, Application Number, Date of BIrth, etc. Click on the “Submit” button and your result will be available on the screen. After checking the result, you can take a print out of it for future reference. The person securing higher marks in the English language section will be considered. In case the tie still persists the candidate scoring more marks in Service Aptitude Component of JEE will be ranked higher. After applying the above-mentioned method if the tie still exists the person who is elder will be considered. After the declaration of the result, the exam conducting body will publish the Opening and Closing rank required to secure admission in the participating institutes. The Cut off for NCHMCT JEE 2019 will available soon after the declaration of the result. 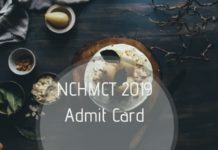 NCHM JEE 2019 cutoff is the rank of the last admitted candidate in a programme and institute. The exam conducting body will publish the opening and closing ranks for all the categories for the participating colleges that will accept scores of the national level hotel management entrance test. Click Here to check the NCHMCT cut off for past years as well. A merit list will be prepared by the Council as per the marks obtained by the candidates. The merit list is mainly prepared to allot ranks to the candidates according to which they will be called for the counseling round. The merit list prepared will mainly depend on the below-listed factors. The candidate scoring higher marks in the English language will be ranked above. In case two candidates secure same marks in English the one with more marks in Aptitude Component of JEE will be ranked higher. In case of tie in (i) and (ii) above, the candidate older in age shall rank higher. The list of participating institutes which accepts NCHMCT JEE score is as per last year’s information. As soon as the information about the academic session 2019 is available, the same will be updated on this page. Note: Some more Institutes may be affiliated from 2019-20. All the candidates willing to attend the counseling process and are eligible for the same will have to register for the process. To register the candidates will have to enter their Name, Email, Password and Application Form number. After the registration process candidates will have to choose the institutes as per their choice from the number of institutes available. The choice of institutes can be changed until the candidate has not locked the choices once and for all. You can choose as many institutes as per your wish. Counseling Fee: There is no registration fee for the counseling process, however, candidates shall have to pay seat acceptance fee of Rs.40,000 at the time of counseling which will be inclusive of the first-semester fee. The fee amount is to be paid through the payment gateway that will be provided on the website. If you have any queries about the NCHMCT JEE 2019 Result, then let us know in the comment section below. 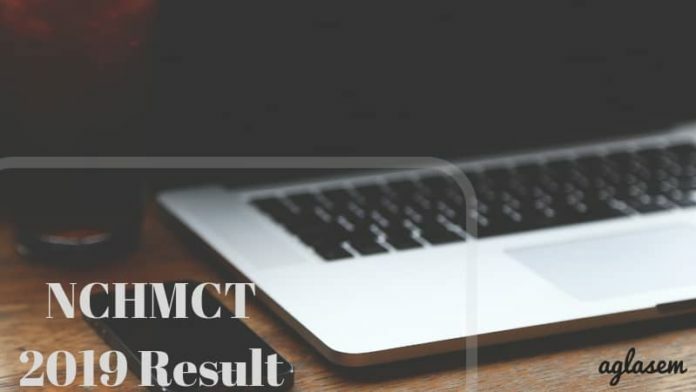 Insofar only date of result of NCHMCT JEE 2019 has been announced. Rest of the information provided on this page is as per last year’s information and will be updated as soon as the information for the academic session 2019 is available.